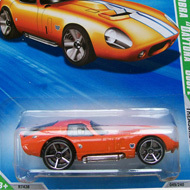 6/12 from the 2010 Treasure Hunt series. 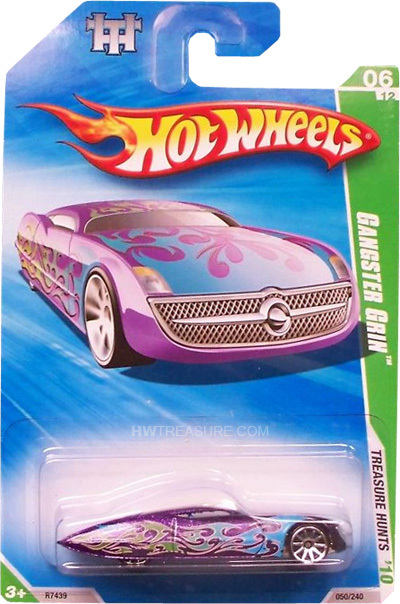 The Gangster Grin has purple metalflake paint emblazoned with blue, green, and pink tribal graphics on the sides and top, and the Hot Wheels logo on the sides. 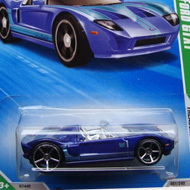 It has blue tinted windows, blue interior, 10-spoke wheels, and a chrome plastic Malaysia base.